P opened the balcony shutters this morning and found that it’s beginning to look a lot like Christmas–we got snooooooooow! Don’t you just love how at the bottom, the land around the olive trees is all green but then by the time your eyes reach the sky, everything turns all white? Oh that Mother Nature . . . . So, yes, it’s just a dusting, but it’s actually visible from my house; usually you have have to go farther up into the mountains before you hit the white stuff. A lot of people don’t know this, but there’s actually some great skiing in Calabria (they tell me; I’m not a skier) in the Sila Mountains where you’ll find the Sila National Park. even a simple dusting can make my entire winter. Don’t worry, I’ll also make time to take Stella’s cue and find a nice lap by the fire. 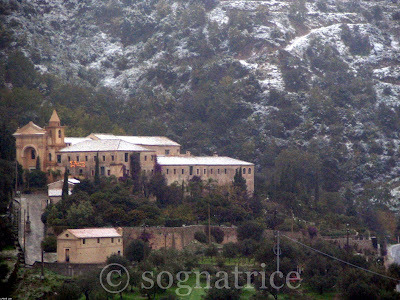 Nice pictures of the snow on the hills and Monastery! We had 3-6 inches of snow on Thursday and now we are getting some snow that is supposed to be turning into sleet and/or freezing rain. I would rather have good old fashioned (and dry) snow any day. 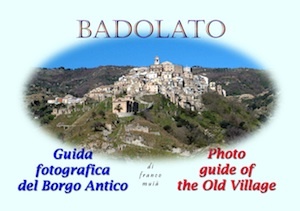 Earlier inn the night on one of the Italian news sites I read that Italy is cold and getting snow. lovely! I have that exact HCJ Christmas CD playing! If only. Everything as far as the eye can see is covered in 8″ od snow here, and it is cold as a bugger and shows no sign of melting it, either. 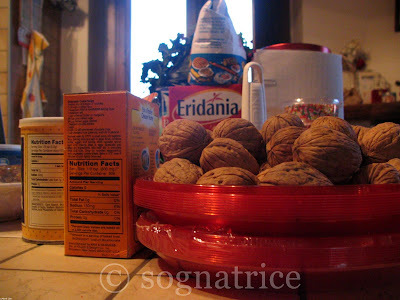 So I will make Christmas fruit and nut roll for my hairdresser. 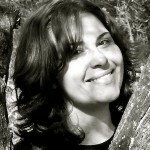 ragazza…i am positively swooning!! 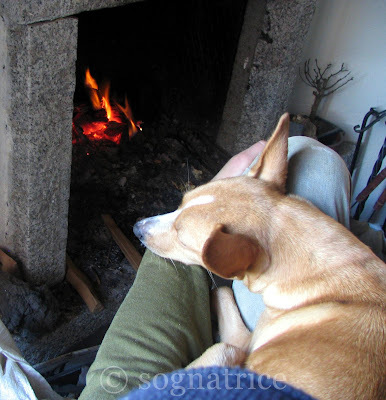 being cozied in at home on a grey day with SNOW, a fire, your sweetheart, your hounds, & harry crooning! sigh. Pretty, pretty, pretty. Pretty snow, pretty walnuts, pretty puppy dog. We are having an ice storm today. Snow + sleet + winds on and off = Sam happy to be an indoor kitty and not a railroad track stray anymore. 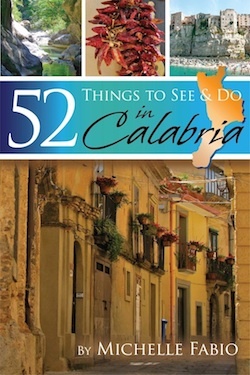 I wish you had posted that advice about throwing out your back a few days ago…..
Life in Calabria sounds just lovely! I am very happy for you. We are getting lots and lots of snow here in Maine! Wow, what beautiful photographs! It is how do you say, pictrure perfect! How cozy Stella looks all snuggled up by the fire. the charm of your photo and post were not at all lost on me. You are right, it is exactly the snow on the top, and the green on the bottom that lends the scene a special magic. What a wonderful day you will have (are having). snap! I was just talking to my english bloke about drying the snow covered gloves and hats on the radiator. Sounds like a simple memory, but it’s filled with joy because it reminds me of days off from school and snow forts and tunnels, hot soup and pajamas..time for reflection as you gaze out the window and draw on the steam covered glass. We have so much snow here in Upstate NY! I’m baking hot cross buns and the cinnomon scented rooms just cozies us up even more. BTW..that fireplace is very homey! Enjoy your dusting. I need to go out into the sleet later to shovel Grumble. Beautiful showing, Michelle! I love how with just a few photos, you set such a cozy, holiday scene. 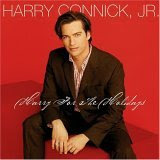 🙂 And, I, too, love Harry Connick Jr. at Christmastime, especially! Sounds like the perfect day, and as someone who grew up in Africa I still get all emotional when I see snow. I was in Switzerland, when I was 17, the first time I saw it. The first snow of the season, just before Christmas, floating down in slowmotion flakes the size of a choc chip cookie. Seriously, so big that I could make out the beautiful snowflake designs as they glided past my nose. My sister and I phoned my mom on a public call box and just cried over the phone for ten minutes until our money ran out. I know just what you mean about getting all excited with a light dusting of snow. How I wish we would get a few flakes of snow just once here on Oahu. We did however have a “Snow Day” at our school last week which was pretty cool. Here is my blog post on our “Snow Day”. I apologize for the long link but I am not sure how to use the HTML tags to make a link in the comments section. I’m jealous, I’d love to have a white christmas…but its all hot & humid here. Stella Bella looks sooo happy. And the fire looks so cozy. I like your fireplace. Granite with big pink feldspar crystals. Is it from a local source? Snow in Calabria. That IS special! Evidently, the Pennsylvania snow gods have found you and made their delivery. 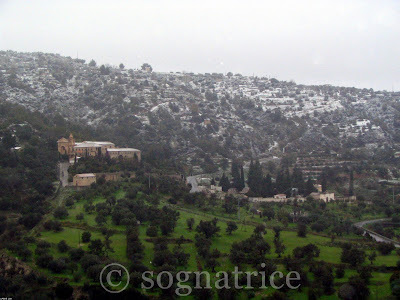 So beautiful — the green around the olive trees would be exciting enough for me, but then to see the frosty landscape further up is quite awe inspiring. Wow Snow!! Not as much as Chicago but it will do! PS I tagged you….check out my blog!! *Gil, sleet and freezing rain are the worst! All the bad stuff and none of the good 🙁 Hope all is well. *Giusi, sorry to hear of your snow woes. I hope the fruit and nut roll cooperated. 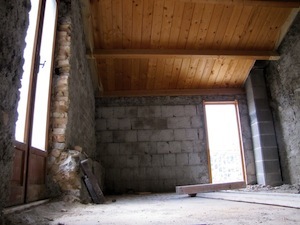 *Sara, hope that necklace has taken form, and yeah for Sam and his indoor status! *Jenn, why no, Stella isn’t viziata, why do ask? *Robin, ooh, Nat King Cole. I’m not big on downloading music generally, but I should definitely do it for Christmas time…. *Taffiny, Stella’s definitely not lap dog size and she definitely doesn’t care. Even Luna likes to get in on the lap action and she’s even bigger…. *BLC, I don’t envy I’m sorry to say. Hope your back made it through safely! *Christina, I wish every day could be like this through the holidays–getting things accomplished because I want to not because I have to, taking my time. “Bad” weather has a way of doing that to us, doesn’t it? 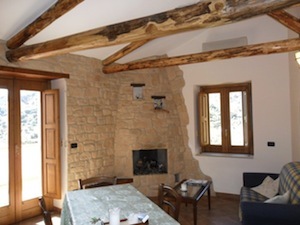 *Homebody, yes, the fireplace is made from all local materials, even the wood mantle. It’s very simple, but I love it 🙂 P and I are now in discussions for a fireplace at the new house and he’s leaning toward not wanting one! The horror! Can I start a petition or something?! *Katerina, hmmm, I’m intrigued. Be right over! *Anali, no you’re definitely not in a dusting spot 😉 Thanks for stopping by! That darn east coast snow storm just missed us! !I was counting on a snow day to get the last bit of baking done!Your pictures are heart warming and although I’m also Not a skier, I did ride the ski lifts in Sila in July. Breathtaking views! Everything looks gorgeously cozy — perfectly set for the holidays! Can’t have Christmas without snow… so now you have white stuff, you have decor, fire in fireplace, yummy stuff in the kitchen, you are all set! 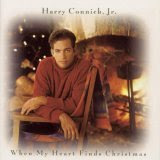 AND you have Harry Connick Jr, what else could you possibly ask for? That’s as good as it gets! Isn’t snow magical? I’m so glad the dusting warmed your heart. It feels more like Christmas when snow is present. It’s just the way it is, no? You know, as much as I hate driving in the stuff, and don’t necessarily enjoy digging the car out from underneath it, I still think snow is beautiful and feel that it’s not Christmas without at least a dusting of it. I love the contrast of the green fields with the white hills. Great picture! …oh, and your family may miss you terribly, but admiring that you are also living their dreams!